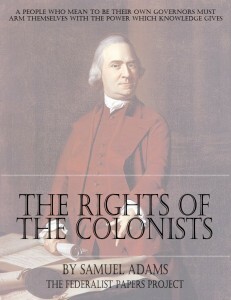 The “Rights of the Colonists” was written as a part of meetings in Massachusetts in 1772, after the Governor dissolved the colony’s Colonial Assembly. Three hundred townspeople thereupon met and voted to appoint a committee of correspondence, and to have this committee draft a statement of the rights of the colonists. 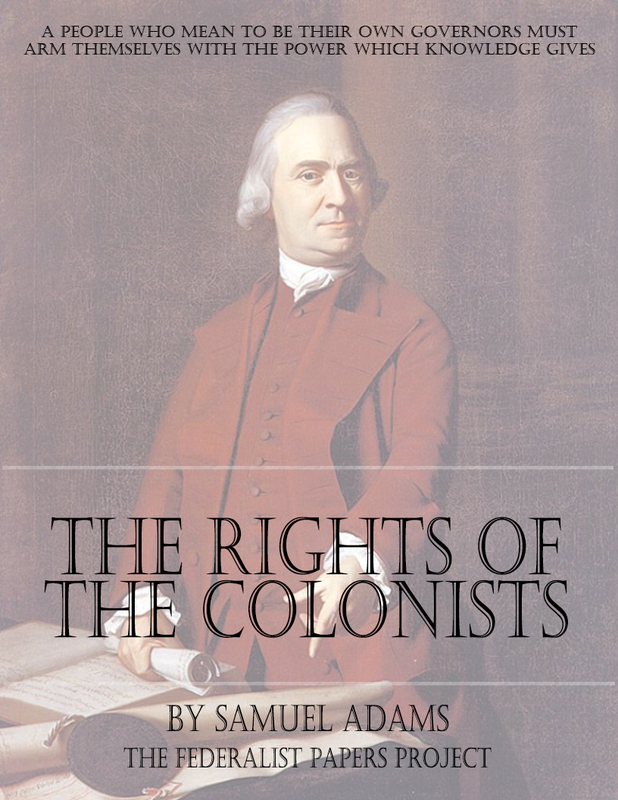 The responsibility for preparing the first draft was assigned to Samuel Adams. Excerpts from the result, as quoted above, were in essence utilized by the Continental Congress in 1774, in a document called the “Declaration of Rights”, and finally in 1776 in the Declaration of Independence.